This project has been fully funded and is now generating clean energy! Vauxhall Energy is a community benefit society that empowers residents to generate their own clean energy, provides work experience and jobs for local people and addresses energy efficiency and fuel poverty in Vauxhall. We are creating a community-owned solar array on the roofs of 5 blocks in Vauxhall Gardens Estate. This is funded through a community share offer - giving local people and investors an opportunity to gain a 3% return on their clean energy investment. After operating costs are deducted, profits will be divided between providing investors with the annual return on investment, and benefitting the tenants and residents living in Vauxhall Gardens Estate. 65 kWp solar array to be installed on 5 blocks in the estate: Arne, Arrowsmith, Jameson, Kennedy and Mountain. 24 tonnes of CO2 per annum will be saved from entering the atmosphere - that is 488 tonnes over the 20-year life of the project. The project will generate 1059 MWh of clean renewable electricity over the lifetime of the project. This is the equivalent of powering 17 homes. An average 3% return on investment for investor members. £15,000 ring fenced for the benefit of the Community over the life of the project. Contribute to wider action in reducing our dependence on fossil fuels. 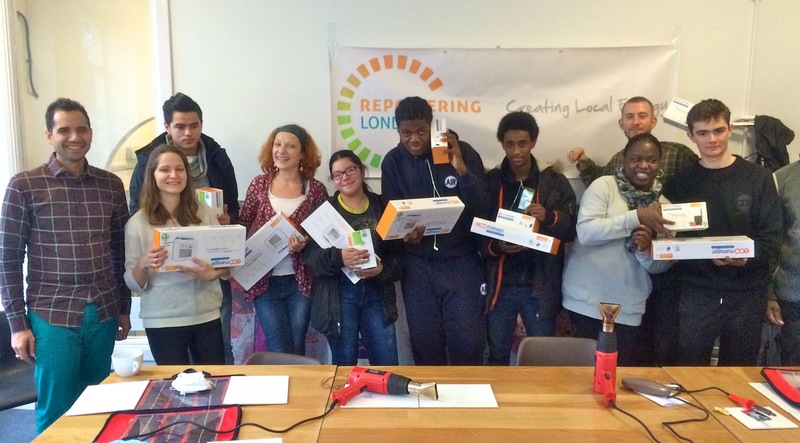 Provide an ethical and social investment opportunity for local people in Lambeth. Provide work experience and jobs for local people. Empowering communities and promoting local leadership. Support and training for vulnerable youth, local residents and long term unemployed and job seekers. Raise awareness surrounding energy issues. We have been engaged with residents and run energy advice and solar panel making workshops. Nine local young people have benefitted from a 20-week paid internship programme. This involved gaining experience in finance, media, PR and the technical aspects of delivering a community energy project. Another way to become a member of North Kensington Community Energy is to become a voter member for £1.